Drag and drop living, squirming, talking globs of goo to build structures. 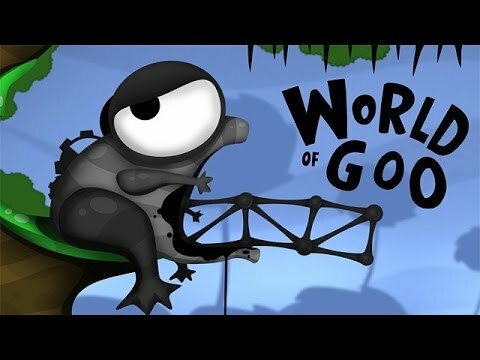 World of Goo is an award-winning physics based puzzle and construction game. Drag and drop living, squirming, talking globs of goo to build structures, bridges, cannonballs, zeppelins, and giant tongues. The millions of Goo Balls that live in the beautiful World of Goo are curious to explore, but they don't know that they are in a game, or that they are extremely delicious.